With winter really digging its heels in and playing stubborn, my spring fishing was delayed for yet another week as I once again targeted chub. Mind you, it’s hardly hardship is it! As an all-rounder, with a genuine love for all species, I will happily fish for anything with fins. With the canal still showing ice from overnight lows that dipped below zero, the water temperature, although on the rise, was still struggling at 4.9C. 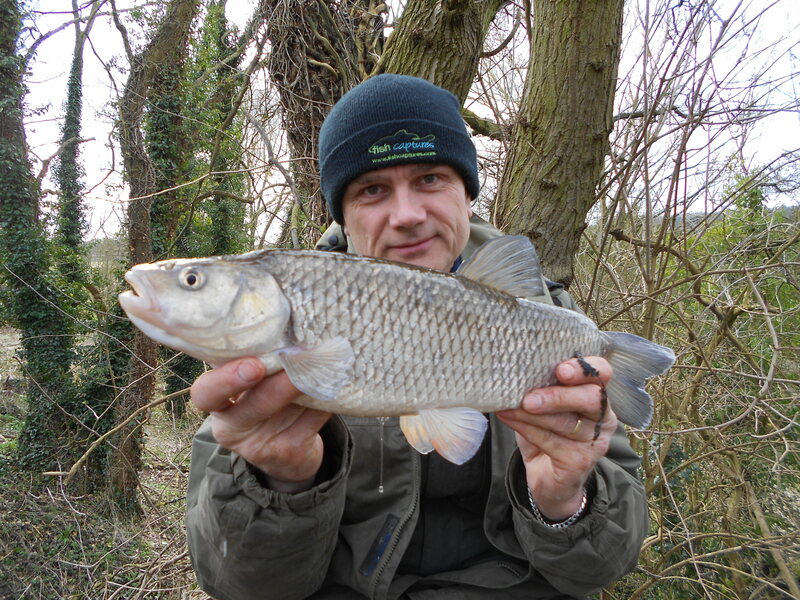 Whilst it meant my annual mini-campaign on the gravel pit was postponed for a while, at least I could continue pursuing the wonderful chub I’ve been catching in recent weeks. 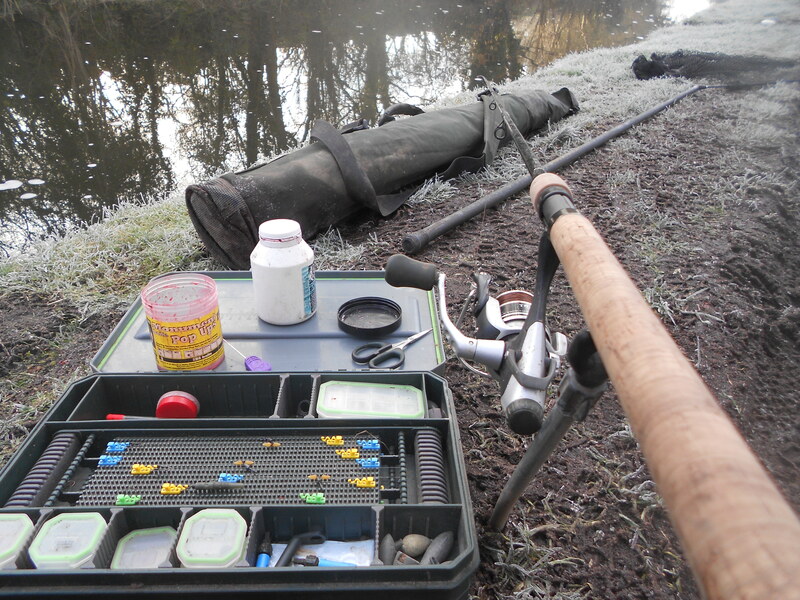 Completing my work list by lunchtime, rod already made up, I was casting out in no time at all after leaving home. Within minutes the quiver tip gently pulled round and I found myself connected to the fish you can see above. Another canal cracker! 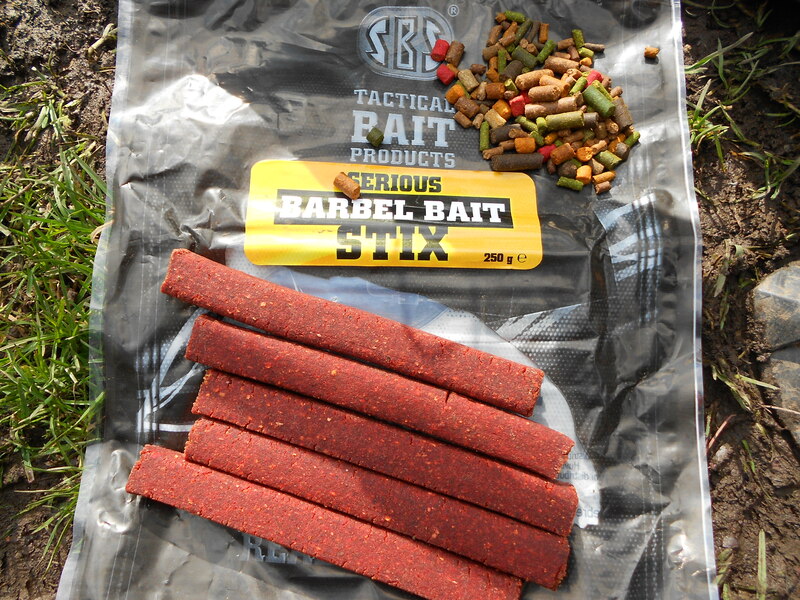 The bait I fished with was the one that had served me well on my two previous outings – SBS Barbel Stix. 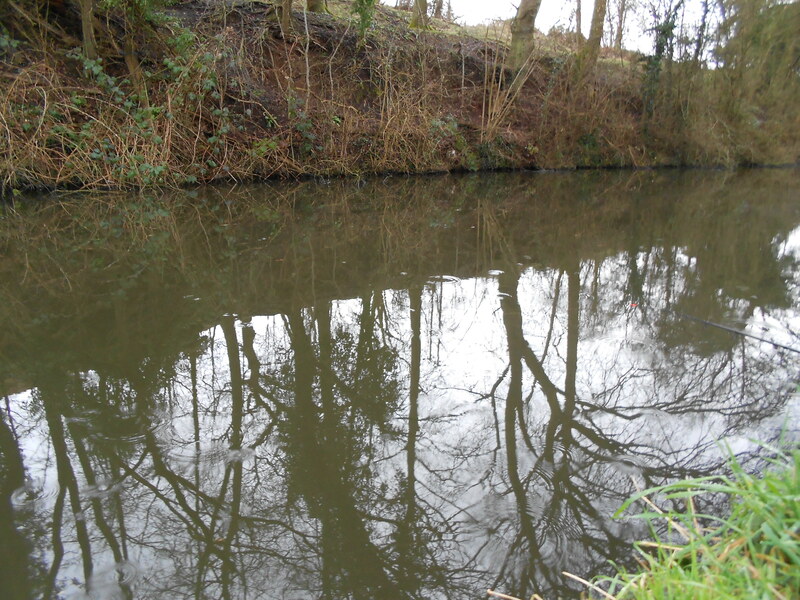 A small ragged, uneven chunk soaked in dip is proving irresistible for the big chub. And if you want to try some yourself, you can check out the SBS website via the link at the foot of my angling website. Definitely worth a go. Well, they’re working for me! I fished them, as well as loose offerings, over proactive multimix pellets. It was a fairly slow afternoon, with long periods of total inactivity and not even a pluck to excite me. But I did manage three fish in total and that’s the third in the photograph below. 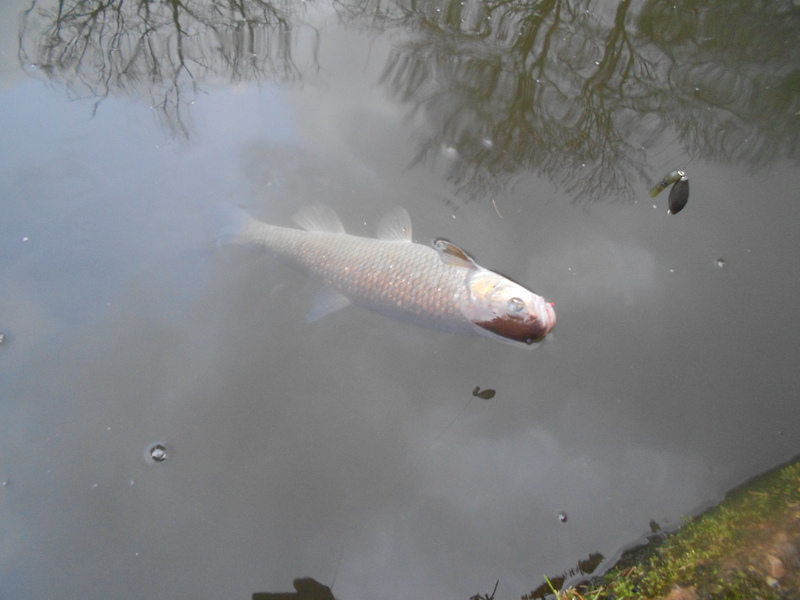 They certainly put up a fight, and my Fox Barbel Specialist 1.5tc wasn’t over the top. Never be afraid to step it up if you need to. On my second visit to the canal I tried some brand new swims. I also encountered something I haven’t come across in a while – rain. The showers were pretty sharp at times and little rivulets formed on the towpath and muddied the water as they emptied in the canal. It was a slow afternoon and I didn’t even have so much as a tap or a nibble from a small fish. But I persevered and banked a few right at the end. The water temperature was on the up, and in spite of air readings being well below average for the time of the year, beneath the surface it was 5.6C. And talking of perseverance, I recently renewed my Wolves season ticket for 13/14 when we were in the bottom three. It’s a bit like fishing, you don’t hang up your rods just because you’ve had a few blanks. And above all, I’m still enjoying myself. And just like fishing, that’s ultimately what it’s all about. My next visit to the canal saw me on the bank at first-light. With air temperature a sharp minus 2C combined with a frost-encrusted landscape, it was most definitely more like winter than spring. You can see the frost on the ground in the photograph below. I used a back rod rest but used my quiver as a front support. It might not look ‘pukka’ but it worked. I did a marathon session compared to normal, well at 3.5 hours it was longer than my usual 3. Proof really that it’s not the actual hours you spend at the water’s edge but quality over quantity. I’ve caught some great chub of late by choosing my times carefully. Over the years I wished I had a pound every time I’ve seen people arrive as I’m leaving, or vice versa. They often fish longer hours than me, but next time I see them they say the venue’s dead. 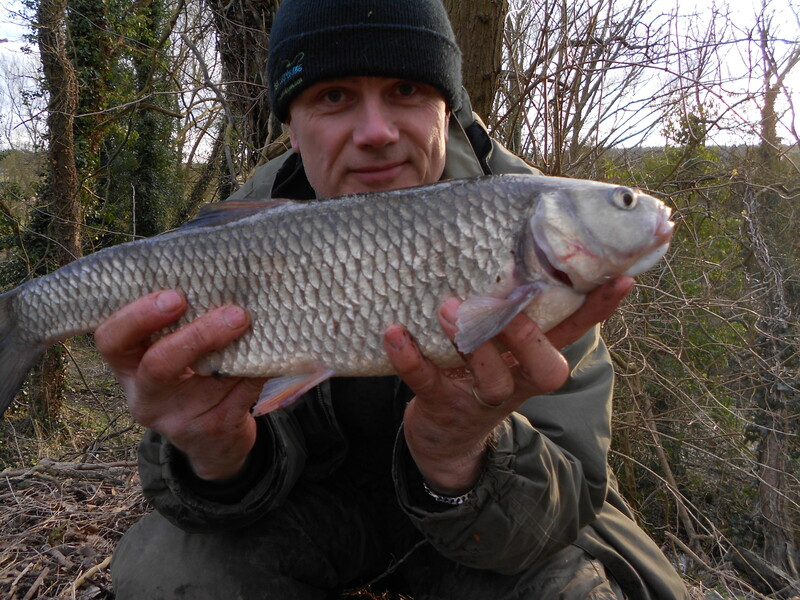 On this occasion it was almost lifeless for me though, but a chub about 1.5lb saved the day. Caught on the frankfurter sausage Stix, it was a savage take that if you were river fishing and missed it, you’d swear you had just lost a barbel. Back home I had a really productive work day, a quick power nap late afternoon, then played 90 minutes of football under floodlights in the evening. Don’t let the grass grow. 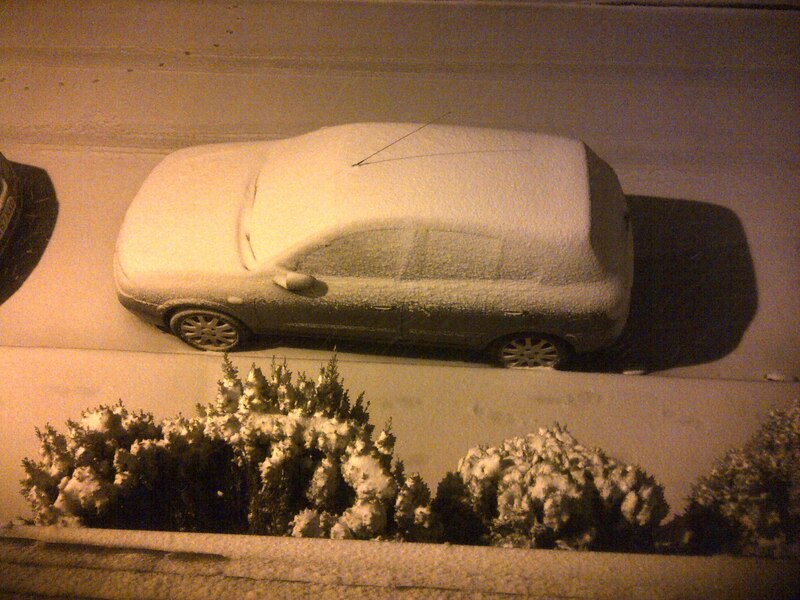 And on that I was out the next morning as well. Another short session (three hours), I again had just the one chub of a similar size. Well at least I wasn’t a blanker.